I love being a mom. Seriously, it's the best. The ONLY thing that I don't love is the fact that I don't have nearly as much time to bake. It's super sad. I love baking! It's fun! And the results are sooo yummy. Which is why it's an extra special treat when I actually am able to do it. Especially cookies. They're a fave around here in case you didn't know. 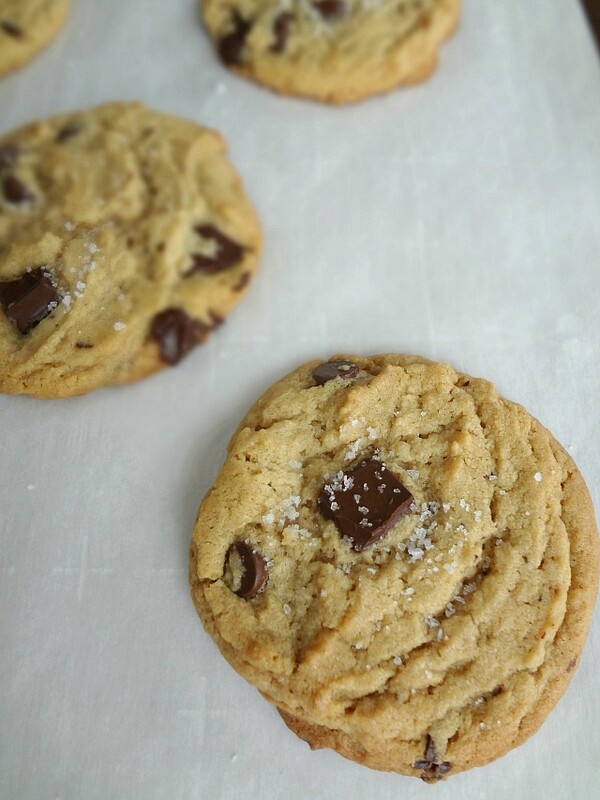 This recipe is one of my all time (if not my absolute all time) favorite peanut butter cookie recipes. They're soft, they're chewy, they're peanut butter, and there's chocolate. I love love love them. Michael love love loved them. Heck even my family love love loved them when I brought some to my grandma's pool. Using a stand mixer with paddle attachment or large bowl and handheld mixer, beat the room temperature butter until smooth and creamy. Beat in the peanut butter and vanilla until smooth. Beat in the sugars until light and fluffy (scraping down the sides as needed)-about 2 minutes. Add one egg, mix well, add in second egg, and mix until fully combined. Stir in the chocolate chunks using a spatula or wooden spoon. When ready to bake: preheat oven to 350F degrees and line a large baking sheet with parchment paper. Scoop 2 tbsp. sized mounds of dough (or about a heaping medium cookie scoop's worth) onto the prepared sheet, leaving a few inches between each cookie. Bake 12-14 minutes, until the edges are starting to turn golden and the centers have barely set. Cool cookies on baking sheet for 5 minutes and then transfer to a cooling rack. I NEED COOKIES ALL THE TIME! It won't be long and you'll have a little helper in the kitchen! 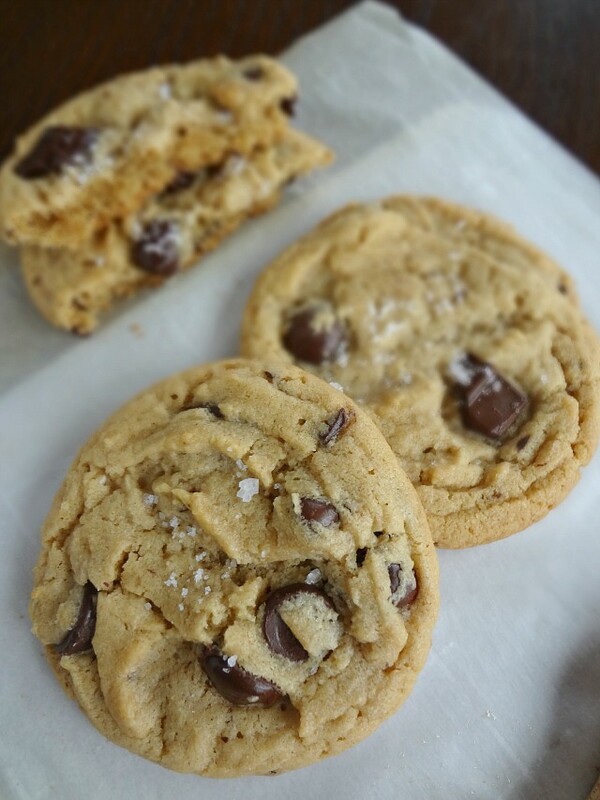 He will love these fabulous cookies---it's been WAY too long since I've made pb cookies and these are perfect! 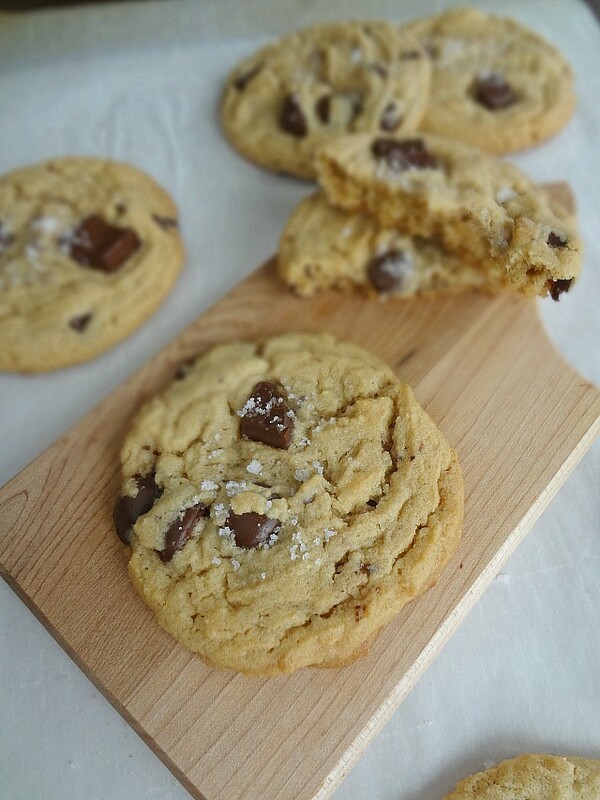 You know I love every cookie that comes out of your kitchen so I'm super excited about these!